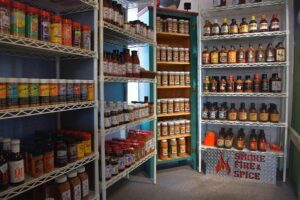 One of the special features at Smoke, Fire, & Spice is that you can taste most of the sauces before purchasing them. 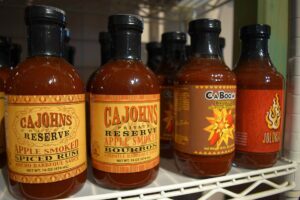 We carry a number of brands, style, and flavors, including (but not limited to!) Cajohn's, Ole Ray's, Head Country, Blues Hog, Bourbon Q, Killer Hogs, Heath Riles, and Pappy's. 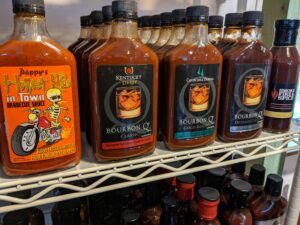 We also have a growing line of our own house made sauces!